Tony studied at the Bartlett School of Architecture, before joining the Practice in 1994. 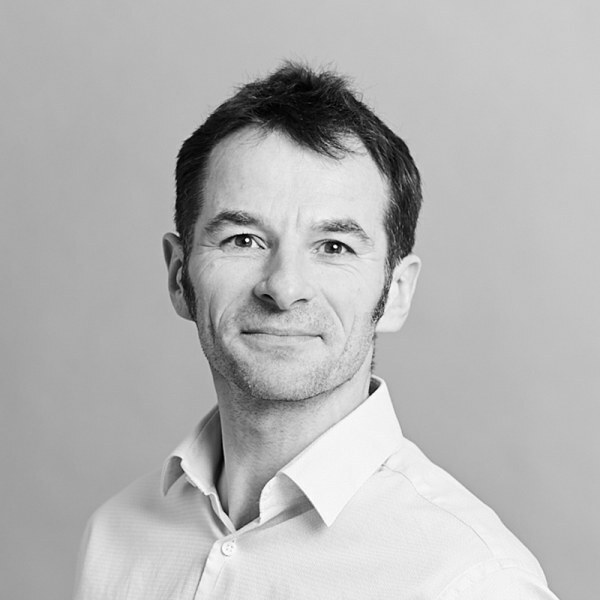 He became an Associate Partner in 2010 and an Associate Director in 2019, and has worked on a number of the Practice’s high-profile projects throughout the UK. Early work with Hopkins includes Portcullis House, a new parliamentary building opposite Big Ben and the Houses of Parliament, and Haberdashers’ Hall in London, which won multiple awards including the New Building Award from the Company of Chartered Architects. Tony was also involved in the National Tennis Centre for the Lawn Tennis Association in Roehampton, and masterplans for Brighton Marina and the Cattle Market Site in Bury St Edmunds, continuing to work on the latter up to the scheme’s completion in 2010 with the opening of a new Apex theatre. His work for the public sector includes the landmark Brent Civic Centre, which achieved a BREEAM Outstanding rating as the most sustainable local authority building in the country upon completion. More recently, he worked on the new Tom Wheare Music School at Bryanston School, the practice’s fourth project with the noted institution. He was also part of the team for the Yang Science Centre at Abingdon School, the Yeoh Academic Building at Brighton College, and a Music School for Kings College in Wimbledon. Tony is currently working on the redevelopment of 100 Liverpool Street, which introduces office and retail space and a new curved façade to an existing structure, and the Peninsula London, a luxury hotel complex on Hyde Park Corner.